Samsung is giving Google Play Music a big push. 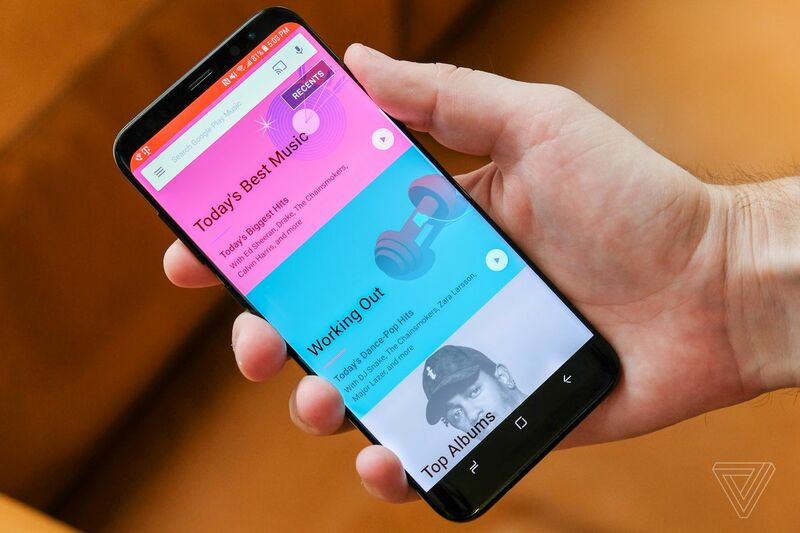 Today, coinciding with the retail launch of the Galaxy S8, both companies announced that Google’s music app will become the preferred music player on Samsung mobile devices. The partnership kicks off immediately with the S8. But it technically began a year ago; Play Music was also the default music playback app on the Galaxy S7, a result of Samsung trying to cut down on duplicate apps that clashed with Google’s services on Android. Google has also promised to deliver other “special features in Google Play Music just for Samsung customers.” Also, the company is promising that Play Music will support Bixby — Samsung’s smartphone assistant — once support for voice commands is actually ready to roll out. The Samsung partnership remains significant for Google’s streaming music ambitions. So far, the company has trailed Spotify et. al in gaining mainstream pickup with consumers. The regular, no-frills Samsung music app remains available but must be downloaded from the Play Store, as was the case with the S7. Play Music is getting another year of visibility as the favored music app on devices from Samsung, far and away the most successful Android manufacturer. Samsung’s own attempts to build a Spotify rival fizzled when the company shut down its Milk Music service last August.